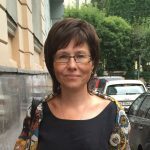 Elena is a Member of the Professional Association of Homeopathic Doctors of Russia and the states of the CIS, Course Supervisor and Tutor in Homeopathy at MONIKI, the Moscow Region ScientificClinicalResearch Institute named afterM. F.Vladimyrsky, Moscow, Russian Federation. Elena graduated from St Petersburg Medical Academy in 1989. For almost 20 years she worked in intensive care, started studying homeopathy in 2001. Qualified as LFHom in 2007, after completing a course in Moscow organised by the Faculty of Homeopathy. Since then she has used homeopathy as the major part of her practice as a family doctor. Supervisor and Tutor at the Moscow Region Scientific Clinical Research Institute since 2010.